Many continents .... One Planet! Merkavah is a journey to the mystical soul of Israel and the renewal of prophecy. Merkavah integrates ancient ethnic instruments, Middle Eastern & Western music, chanting and computer sounds. A biblical musical collage of four essential and universal texts: Creation Through The Ten Sayings from the Book of Genesis, the Ten Commandments from the Book of Exodus, Love your Kin as Yourself from the Book of Leviticus, and the prophecy of the holy merkavah (chariot) of the prophet Ezekiel. The Torah of Deep Ecology. 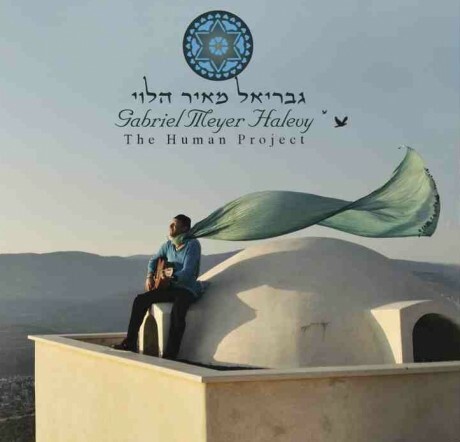 Precious Sources from ancient Hebrew wisdom selected by Gabriel Meyer Halevy, new original texts and a sound concoction blending languages, creatures, instruments from around the world (including the computer), & original tracks by Amir Paiss (musical producer) & other renowned "Sheva" members, Jai Uttal, Shimshai and Gabriel Meyer Halevy. Prayers from the jewish world set up to tunes from around the globe.